A review of Germania Health Insurance Company finds the Germania Insurance Companies in Texas. 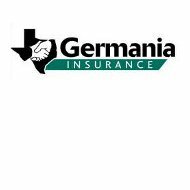 Germania has been helping Texans with their insurance needs for more than a century. The company began as Germania Farm Mutual Insurance Association in 1896, and now encompasses five separate insurance subsidiaries. Don’t live in Texas and need insurance coverage? Type your zip code into the box above and we’ll show you health insurance quotes from several different insurance companies offering coverage in your area. It is uncertain if Germania insures all applicants for its automobile insurance, as it stresses that it has a conservative underwriting philosophy. The company states that it is able to offer low insurance rates by looking for people with good driving records, average vehicles, and history of few or no accidents. This companion auto policy means that the policyholder also buys their home and personal liability insurance from Germania. Germania Insurance’s property insurance offers coverage for both homes and the property surrounding them, so it will protect farms with outlying buildings and farm equipment. The company specializes in property insurance for farms, ranches, and other rural property, but also insures suburban houses. In addition, Germania will write policies for churches, parsonages, and other organizations with property. In addition to personal and property insurance coverage, you might be thinking about liability coverage. Germania offers both personal and farm liability policies. Liability insurance serves as extra protection in case somebody is hurt or injured on your property or because of something you did. If you are sued, instead of having to deplete your bank account to protect yourself, liability insurance will help pay for your legal fees. It will also pay the cost of damages up to a certain threshold amount. Germania makes it very easy to find an agent. Wherever you live in Texas, there is sure to be one close by. To find an agent, go to Germania’s website and click on the “Find an Agent” tab. Once there, you can search by county, city, contact person, agency name, local chapter number, and additional office locations in each city. Germania is very proud of its local connection to the community of Brenham, Texas, which is located near to both Houston and Austin. The company strives to make a positive impact on the community, as well as its employees and their families. Germania maintains a list of employment openings on its website, along with a downloadable job application. In addition to these standard benefits, the company also offers a casual dress code, special family events, and service awards. Germania encourages its employees to work toward defined goals and then rewards them for achieving them. Overall, Germania seems to be a very employee-focused, supportive place to work. If you are not sure Germania Insurance is right for you, it is not a problem! We can offer you more health insurance quotes from which to choose. Just type in your zip code and we will give you rates from other insurance companies in your area.